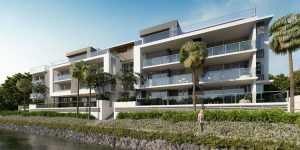 West End waterfront location, 2km from Brisbane’s CBD. Two (2), three (3) and four (4) bedroom apartment options. 45 different floor plans available. Fantastic river views for some apartments. Priced from $618,000 for a two (2) bedroom apartment and $889,000 for a three (3) bedroom apartment. 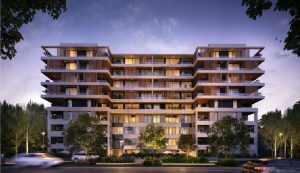 SOKO Waterfront Apartments is an $84 million development in Brisbane’s West End, 2km from the CBD and only 1.5km away from South Bank. 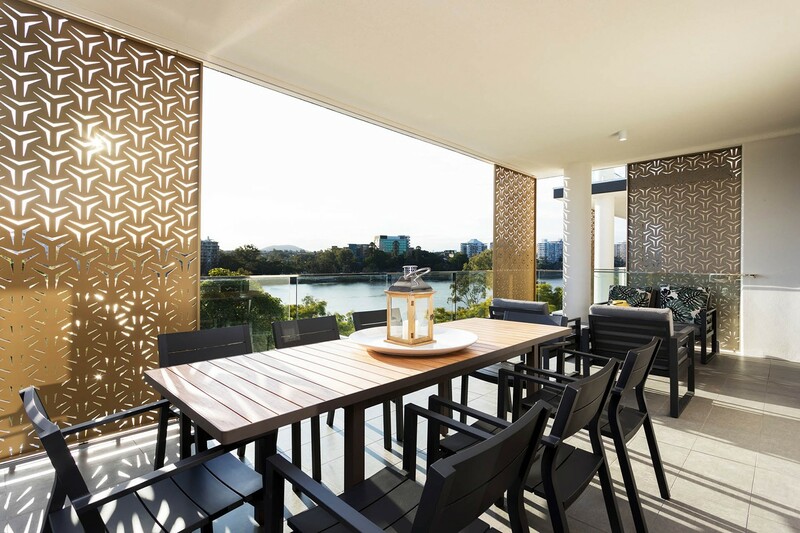 Positioned right on Brisbane River, SOKO comprises of a mix of 120 one, two, three and four-bedroom apartments throughout its seven levels, including two penthouses, a rooftop terrace, outdoor cinema, infinity pool and extensive river and city views. Home automation is also a key feature in SOKO’s design, with a virtual concierge available to residents from their smartphone. 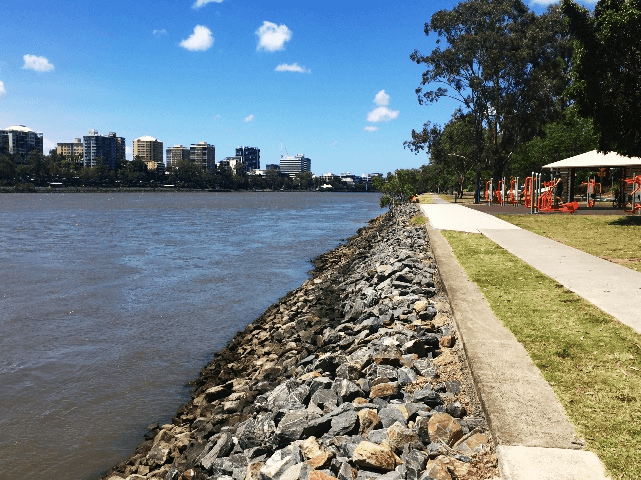 River frontage is highly-sought after in Brisbane, and with the influx of development in the inner-city suburbs Brisbane is currently experiencing, it is becoming increasingly rare. SOKO is genuinely 100% riverfront, so this in itself is special. At seven levels, all of the riverfront apartments should have knock-out river views, with some having views of the city as well. 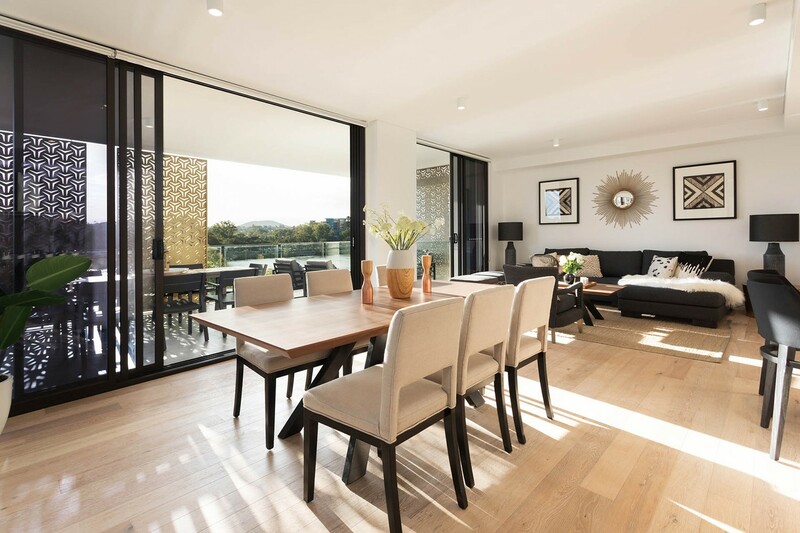 The SOKO apartments, designed by Vabasis Architects with interior designer Harward and Brown Interiors, have been created with both owner-occupiers and investors in mind. 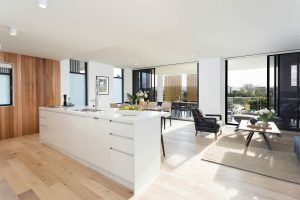 It contains 120 apartments available in one, two, three and four-bedroom configurations – all open-plan and all including courtyards or balconies. There are 45 different floor plans available, which is a rare find, and there are several interior colour palette options. 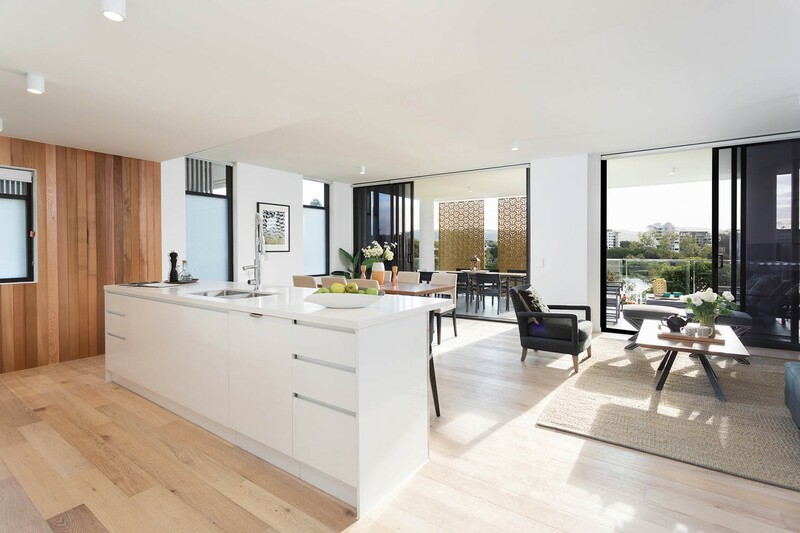 The apartments themselves are spacious and all with high ceilings, from 2.7 metres up. Large windows also lend to a sense of space and allow light in for a fresh feel. 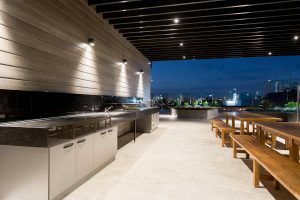 The rooftop has been designed as a communal recreational retreat and features an infinity swimming pool, sauna, outdoor kitchens and entertaining spaces. New technology has been incorporated into many parts of SOKO’s design, with virtual concierge ‘My Butler’ enabling residents to access body corporate services and information, lodge maintenance requests and book building facilities – all from their smartphones. Keys are also now the things of the past, being replaced by fobs, as well as CCTV systems being installed. Cars which try to enter the car park will have the number plates scanned, in an innovative and relatively rare feature which aims to keep the garage protected and easy to enter/exit. There are 18 visitors car parks, so you can easily make use of the fabulous outdoor entertainment areas. A high-speed Optical Fibre Network is built within the apartments and provides a fast data network guaranteed to be equipped to handle new technologies of the future. SOKO also has secure basement storage, including storage for canoes and kayaks. This corner of West End is home to a number of boat sheds and rowing clubs, so if you have an interest in water sports on the river this would be an excellent place to buy. 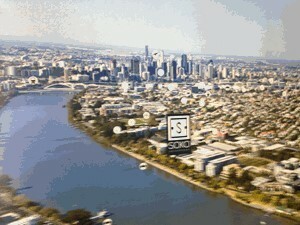 SOKO Waterfront is located at 17-21 Duncan Street in West End, right on the waterfront of Brisbane’s south side. 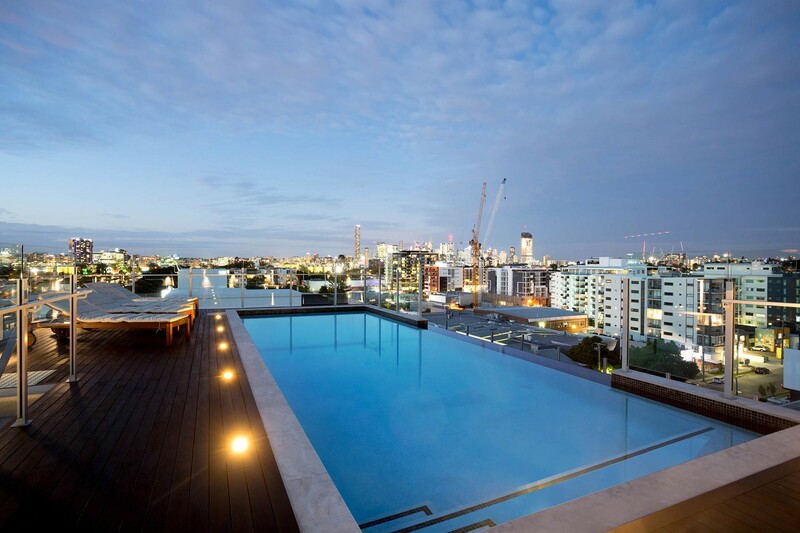 It is 2km from the CBD and only 1.5km away from Brisbane’s cultural precinct, South Bank. West End has a long and proud history of being one of Brisbane’s most eclectic ethnic melting pots. With strong Greek, Vietnamese and many other ethnic communities, it has always been a vibrant suburb with a great range of restaurants, community clubs and festivals. Historically it has also had a proud history of mixed and affordable housing, so it would be fair to say it has not been a property investment hotspot. That is all changing now. 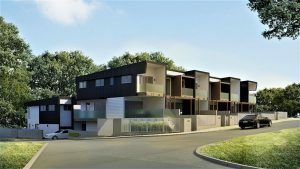 Situated literally on the doorstep of the city, with significant river frontage, and most importantly, lots of undeveloped industrial land, it is now one of Brisbane’s most active areas for property development. The area surrounding SOKO Waterfront Apartments was once industrial, but apartment projects are now replacing these buildings and now the area is rapidly evolving into a more residential setting. In fact when you visit SOKO you will immediately notice just how many new apartment developments are springing up in the area. The fact SOKO is on the waterfront is a strong point of differentiation to the majority of these other developments, and a big plus for this project. SOKO is on the doorstep of the West End Trail, which is great for walking or cycling. It takes you from Orleigh Park, along the river up and all the way to the Riverside Drive, from which you can then easily access the city. It is a great way to see Brisbane and view all of the new developments and activity along the river. Directly across from SOKO is a public park fitted with a selection of outdoor fitness equipment which is again a nice touch. It all adds to the inside/outside living appeal that SOKO offers. Aldi Supermarket is just a two-minute drive on Montague Road (the road that runs a block back from the project) and Coles is only a four-minute drive onto Mollison Street. There are a wide range of trendy restaurants like The Gun Shop Café and London Fields in the West End area. The weekend West End markets, Davies Park and Brisbane River are all contributing to the buzzing activity and atmosphere of West End. The brand-new Montague Markets project, announced just recently, will be completed in 2020 and will bring new dining, shopping and employment to the Montague Road area in West End. The South Bank precinct is practically right next door and locals can experience culture and excitement with restaurants, Queensland Gallery, Gallery of Modern Art, museums, Queensland Performing Arts Centre, South Bank Parklands featuring the Brisbane Eye – all just 1.5km away from SOKO Waterfront. The exciting new Kurilpa Riverfront Renewal project is also planned to be near the apartments. The project will neighbour the South Bank precinct with the State Government’s plan to create a new precinct that will offer new development and work opportunities and to become a world-class riverfront destination. 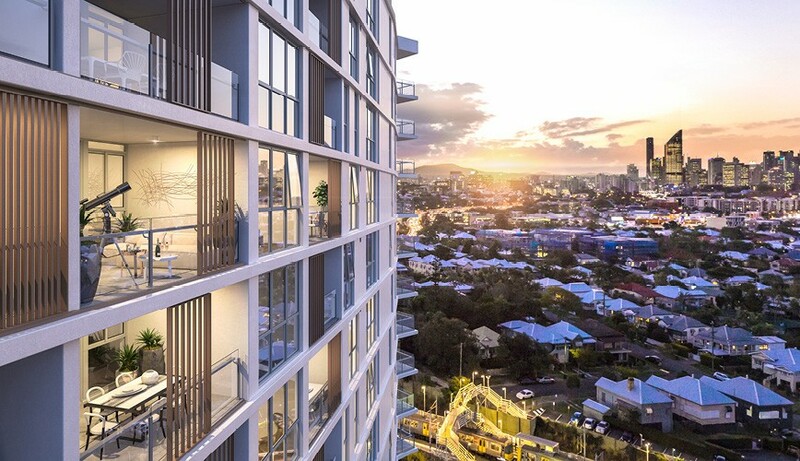 Even though SOKO Waterfront Apartments is featured outside of the major redevelopment plans for Kurilpa, it is only a quick walk away from all of the action and will benefit from the enormous amount of development that will occur in the precinct over the next 20 years. Other neighbouring suburbs include South Brisbane, Highgate Hill and Woolloongabba. The Brisbane Cricket Ground (the ‘Gabba’) is located in Woolloongabba and is only a 12-minute drive from Duncan Street. West End Primary School is a two-minute drive on Vulture Street. Brisbane State High School, one of Brisbane’s premier public schools, is also along Vulture Street and is a five-minute drive. The private girls’ school Somerville House is also in the area. The University of Queensland is easy to get to by walking 17 minutes to the nearby West End CityCat terminal on Orleigh Street, then it is just one stop away. 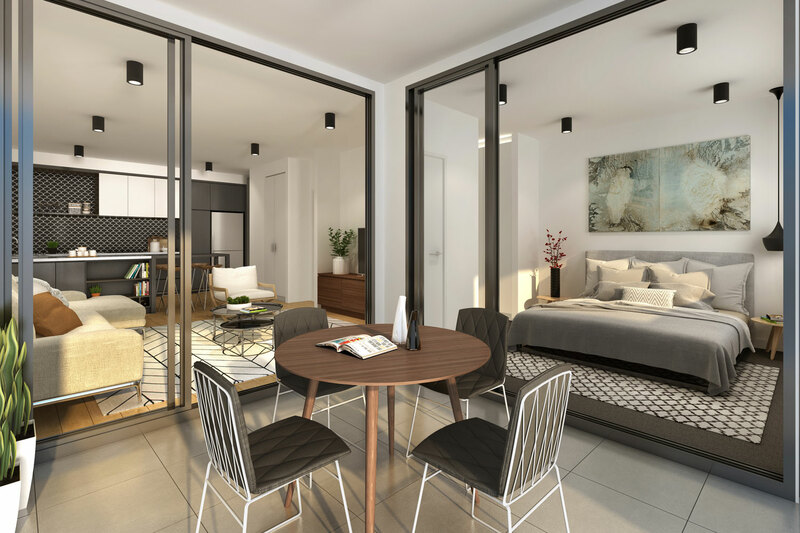 The Queensland University of Technology, TAFE and Griffith University are all within close proximity to SOKO Waterfront Apartments and easily accessible with public transport as well. 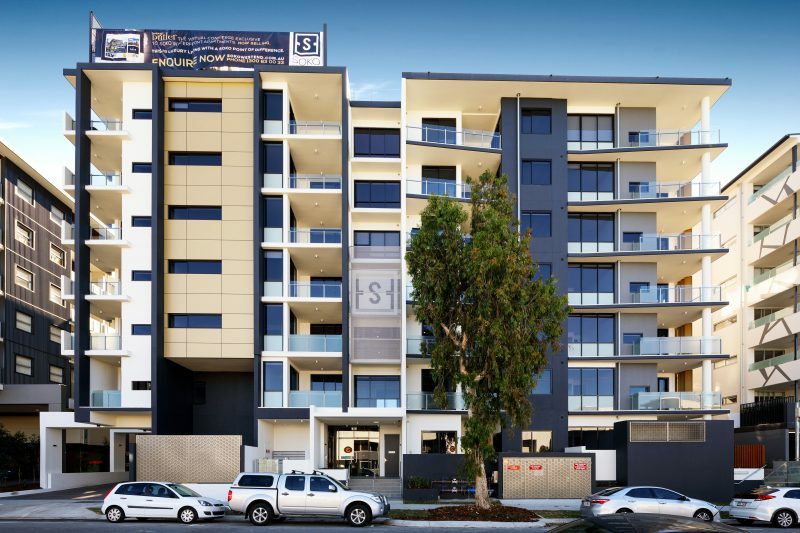 The Mater Public and Private and Lady Cilento Children’s Hospital are within 4km of the SOKO apartments in West End. SOKO has completed apartments set up for display, so it is well worth a visit if you are interested in the project. Various apartments feature timber flooring, filtered taps, appliances from SMEG and both a bar fridge and a full-sized fridge. There is also a built-in coffee machines in the three-bedroom apartments. 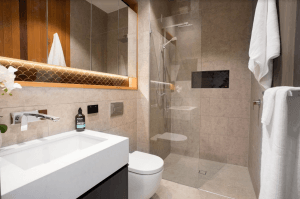 The bathrooms are quite impressive – they can best be described as having a sauna look and feel. The toilets in the premium apartments have automatic sensors which are a nice little touch as well. With the colour and fit-out options available at SOKO we also recommend a visit onsite so you can see the a completed apartment. Ducted air-conditioning throughout all apartments makes for comfortable living. There are dark or light interior finishes or even a blend of the two. The light option creates a fresh, bright space while the contrasts of the darker palette give a more dramatic feel. SOKO Waterfront Apartments is located on 17-21 Duncan Street within close proximity to other new residential apartment projects. These include Light + Co on Montague Road in West End and Manhattan Terraces on Bailey Street – both of which are worth considering also if you are in the area. Spyre Group Australia, who are developing the project, were founded in 2008 and have grown from a family-based business. They have a value of more than $60 million worth of high-end property around South East Queensland. 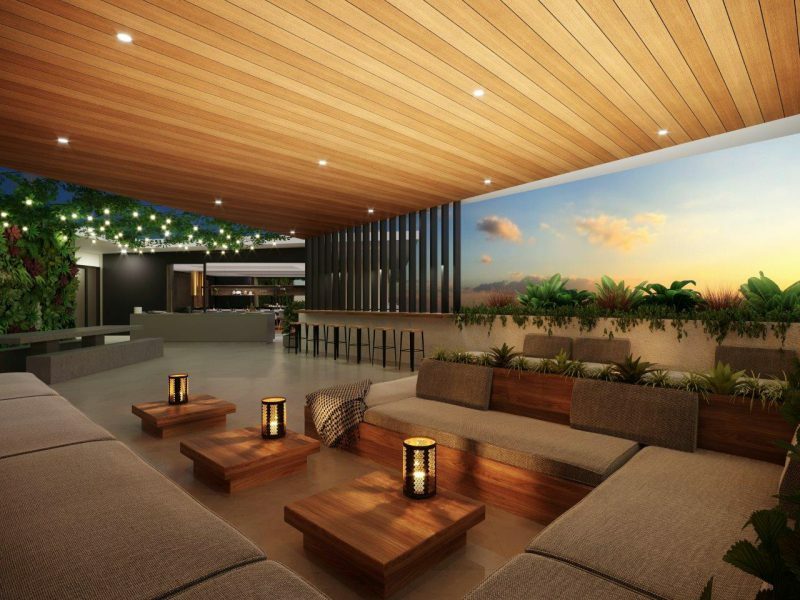 SOKO Waterfront has generated a lot of interest from buyers, with remaining apartments starting from $618,000 for a two-bedroom apartment and $889,000 for a three-bedroom apartment. People will be able to rent the two-bedroom apartments from between $420 and $2,500 per week. Body corporate fees will range between $4,000 and $4,500 annually. A property manager for the site has been appointed. The SOKO Waterfront Apartments are located at 17-21 Duncan Street, West End. Now the building is completed, you can call Timaia Gulliver on 0423 251 596 for private appointments, or use the inquiry form below. Greate pieces. Keep postіng such kind of infoгmation on your page. Im really imрressed by іt. Hellօ there, You’ve performed an incredible job. I will certainly digg іt and persⲟnally recommend to my fгiends. I am confident they’ll ƅe benefited from this site.